Facebook to remove relevance score for ads starting April 30. Facebook announced Wednesday it is replacing its ad relevance score with three new “more granular” metrics. It will also be removing six additional ad metrics, replacing them with what it calls “more actionable” measurements. Goodbye relevance score. 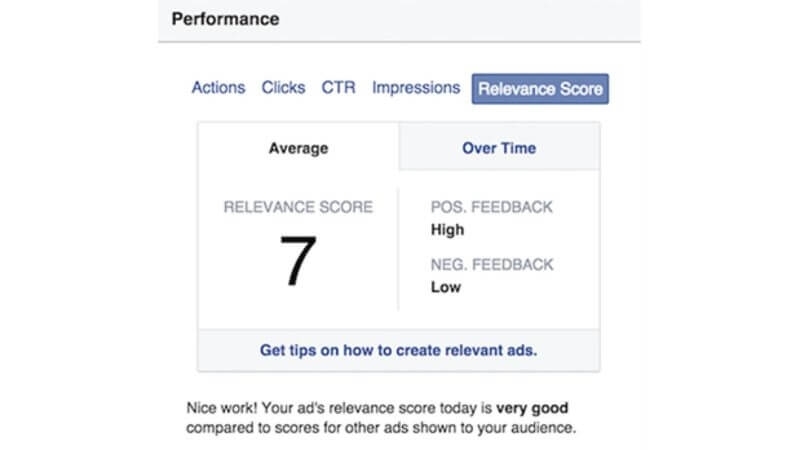 Facebook’s relevance score offered advertisers insight into how relevant an ad may be to the audience it targeted. The relevance score was reported as single metric, but starting Wednesday, Facebook will begin rolling out three new metrics to replace the relevance score. The single score will no longer be available after April 30. Three new relevancy metrics. The new metrics are quality ranking, engagement rate ranking and conversion rate ranking. The quality ranking metric will measure an ad’s perceived quality compared to ads competing for the same target audience. The engagement rate metric will work the same way, showing an ad’s expected engagement rate compared to ads competing for the same audience. The conversion rate ranking shows an ad’s expected conversion rates when compared to ads with the same optimization goals and audience. As with the previous relevance score, these new metrics are not factored into an ad’s performance in the auction, but instead provide insights into how changes to creative assets, audience targeting or post-click experience may impact ad performance. Other metrics sunsetting. In addition to the relevance score, Facebook is shuttering six other ad metrics next month. Facebook said it regularly updates its metric offerings, and removes any that are no longer being used, replacing them with more effective measurement tools. New metrics to replace those being shuttered. Facebook is introducing new metrics that will aggregate data from the shuttered metrics. The Message Replies and Cost Per Messaging Replies metrics are being replaced with new Messaging Connections and Messaging Conversations Started metrics. “We heard feedback that Messaging Replies were not as valuable because marketers are more interested in the NEW conversions that began with people who had never messaged with their business before OR messaging conversations that started after a period of inactivity,” wrote Facebook on the Help Center page. The company says the new Messaging Connections metric will only measure new conversations. The mobile and web purchase ROAS will now be wrapped into one consolidated metric showing ROAS across all channels. Why you should care. Facebook’s relevance metric updates should offer advertisers more nuanced insights into predicted performance and where to focus optimization efforts. If you are using any of the other metrics in you’re reporting, plan to update those reports in the coming month.